RHAND Credit Union welcomes persons from all spectrums of life and offers an array of both financial and non-financial products & services. By joining the RHAND family you enjoy the benefit of having an ownership stake in your own financial institution. These benefits range from: Annual dividend payouts on your share savings; Fixed and competitive loan interest rates; No nuisance service fees; Using your share savings as Collateral for loans; No hidden charges; Scholarships; and Free educational programmes. So why wait! Joining is easy as 1,2,3! (3) The following statements or documents will also be acceptable as proof of address e.g. Bank Statements; Lease agreements; tax assessment or recent correspondence from Board of Inland Revenue or an equivalent authority. 8. One Hundred & Sixty Five T&T Dollars ($165.00) Application Fee for adults (18yrs and over) and Fifty T&T Dollars ($50.00) for children (10 to 17 years) non-refundable. A Personal Referee is a reference provided by someone who knows you and can attest to the information provided on the application. Character references can be provided by anyone who is NOT a relative. A Guardian is a person who is entrusted by law with the care of another person such as a minor or for someone who legally is incapable of managing his or her own affairs. Under the Nominee Section of the application, the applicant’s signature must be witnessed by two (2) employees of RHAND Credit Union. The following Identification numbers are required – NIS No. and Birth Certificate PIN or BIR No. 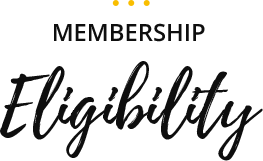 A person applying for membership must be a resident of Trinidad and Tobago. Where the individual is a national residing abroad that person must provide evidence of property ownership or the operation of a business in Trinidad and Tobago. Our Member Resource Center is a comprehensive suite of education tools and articles designed to boost your financial savviness.